I hear periodic bursts of Canadian Geese honking as they begin their travels South. In my van I follow their cue. 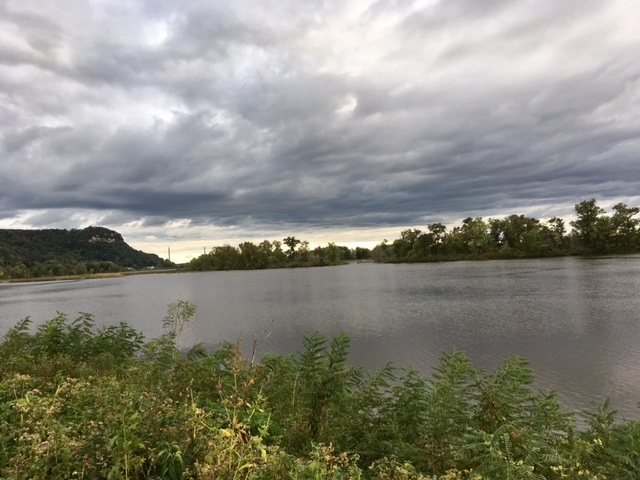 The mighty Mississippi River moves effortlessly beside the road winding its way southward as well. It stretches its banks grabbing the shores of Minnesota with one hand and Wisconsin with the other. In some places it seems to tug tight enough to flatten the horizon like a sheet laid out on a freshly made bed. In other areas, its grip is relaxed enough to allow some grand wrinkles in the landscape tapestry. The almost-but-not-quite mountains in the wrinkled tapestry are dressed in an impressive showing of trees. They seem to be listening to a silent autumn countdown that hasn’t yet allowed their colors to change. A few impatient and over zealous leaves are early to arrive, but the grand show is still around the corner. My eyes are thirsty and coming to the fountain to drink as I drive down the road seeing things I’ve previously only read about in books. A passing lock and dam belong on the pages of Paddle-to-the-Sea and Tom Sawyer and Huckleberry Finn belong on a raft in the river. I feel privileged to step into the pages of time and space and link hands with others who have made their own relationship with these hills, waters and land. 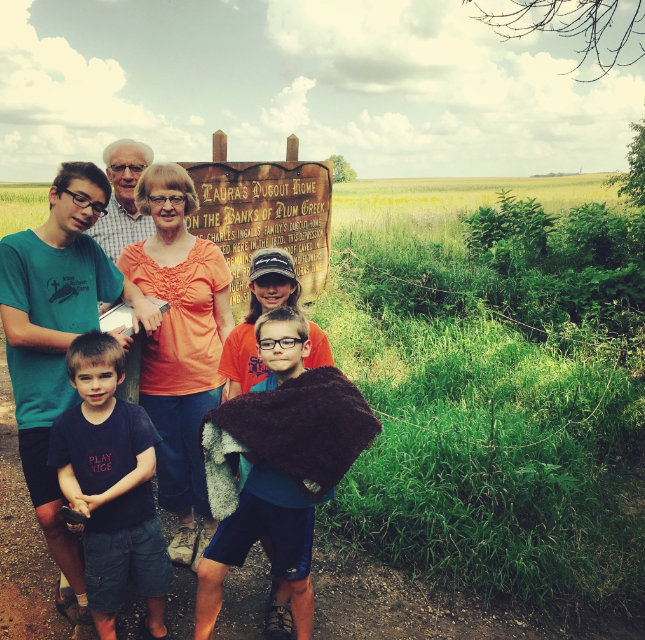 One such place that unlocked time and space this week was Pepin, Wisconsin. It was here that Laura Ingalls Wilder was born and lived her early childhood days in her Little House in the Big Woods. What a treat it was to stop and stand on the same ground and watch my kids romp and play in the same yard that she once played. Isn’t it amazing to think of the layers of lives that intersect over the same land with the passage of time? After reflecting on the age that Laura was when she began her writing career (sixty-five), I was struck by the impact that might not have been made had she never shared her experiences as a child through story. I learned that Laura was surprised by the success of her first book and told an interviewer, “I thought that would end it. But what do you think? Children who read it wrote to me begging for more. I was amazed because I didn’t know how to write. 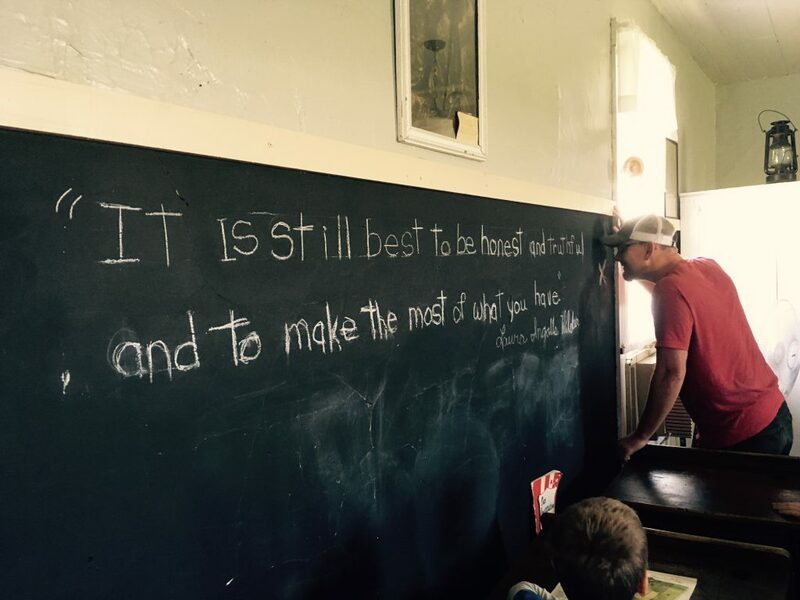 I went to little red schoolhouses all over the West and I never was graduated from anything.” Did you catch that part where she said she “didn’t know how to write?” Yet she continued to do what she felt she was not particularly gifted to do because children were begging for more. Now we all receive the blessing. How many of us have been given a gift that we don’t feel equipped to properly use? This week Laura taught me that it is never too late to start something great–the grand show may be just around the corner. The children who wrote her begging for more taught me that even those who have extreme promise often require those around them to reflect encouragement and support to continue down their path. May we never shrink back from doing what God has put inside of us and may we never keep silent when we could instead speak life to those around us. Starting down this traveling road excites me. There is so much to see and learn. My eyes are open and I’m anxious to write my own story on the landscape. Last Saturday was a perfect day. In fact, I’d go so far as to say that it was one of my favorite days. We awoke at our leisure and took our time moving through our morning routines. Outside the RV new views greeted us through our tinted windows–this time a city park complete with playground equipment anxiously awaiting our children’s giggles and grins. 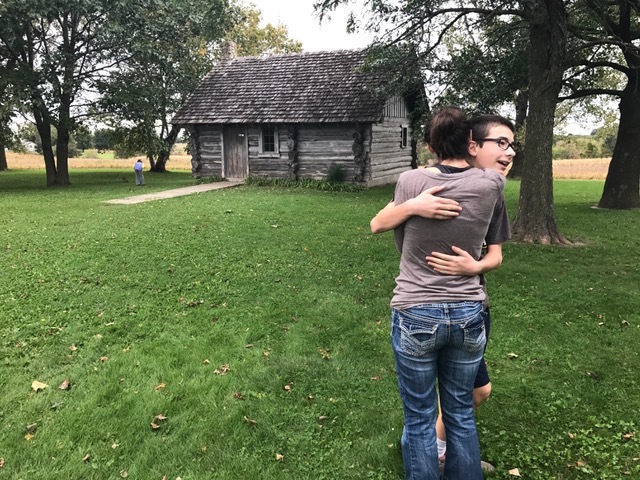 After packing our lunches we piled into the van and took the short drive to the Laura Ingalls Wilder Homestead in the town of De Smet, SD (which was the setting of her books By the Shores of Silver Lake, The Long Winter, Little Town on the Prairie, These Happy Golden Years and The First Four Years). 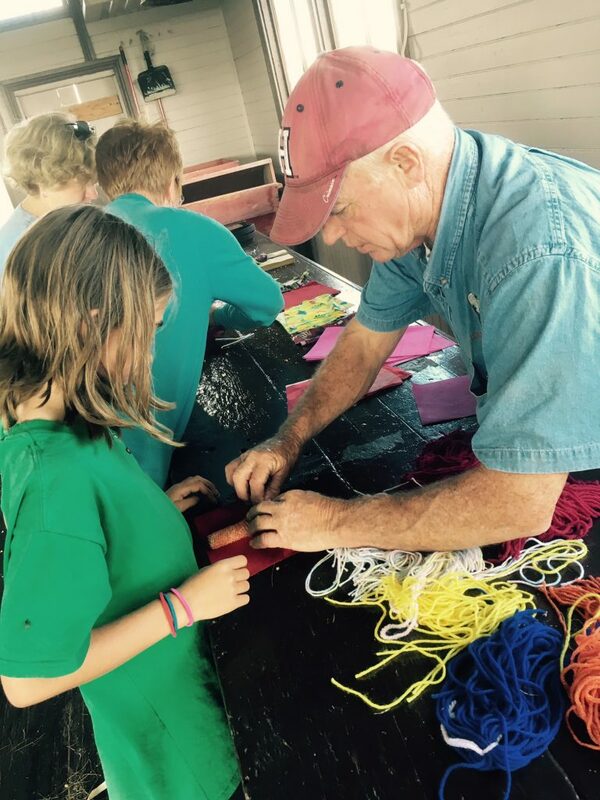 We arrived around noon and began exploring the quarter section of land which is privately owned and operated as a hands-on living history experience. 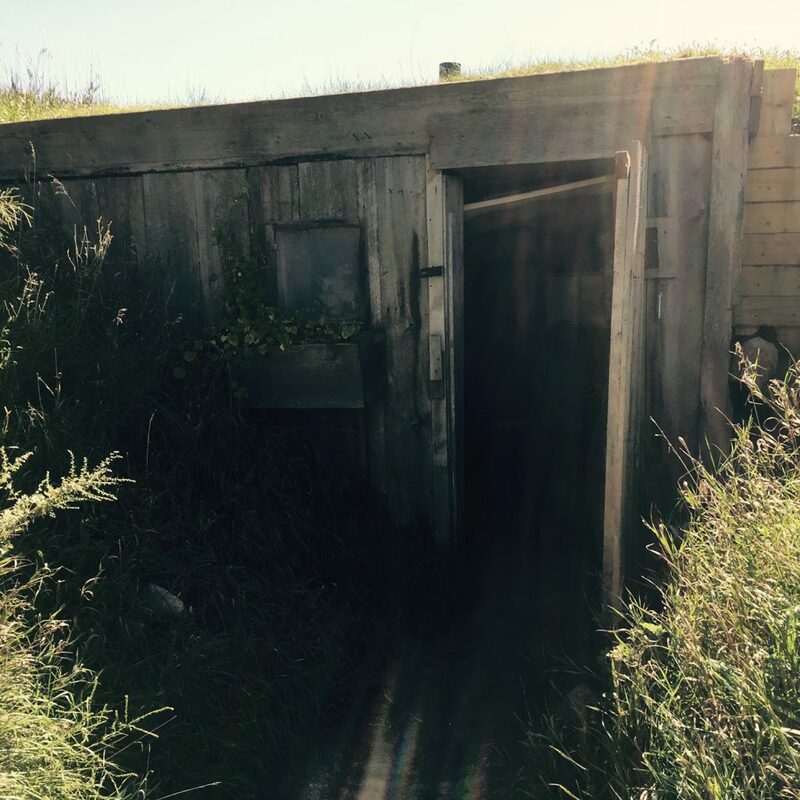 Stepping into a sod house and shanty we were able to learn about the differences in how or why these two homes were built as well as the pros and cons of each. 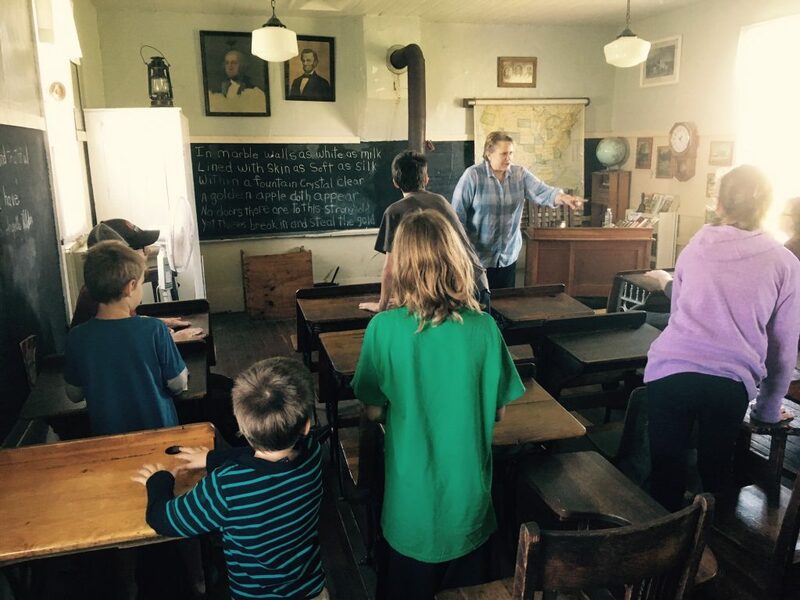 From there the kids took turns driving a covered wagon and visiting a one-room school house where a teacher gave us a feel for a some of the history and examples of lessons and activities. 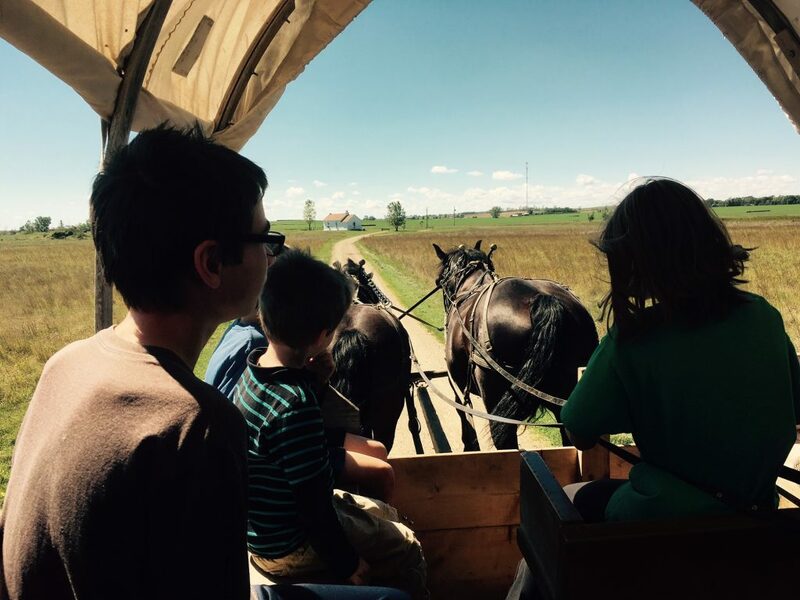 Afterward, the kids each took turns riding a horse or pony before seeing a demonstration of how hay was twisted into sticks for fuel to burn (as told in The Long Winter). Next, the kids were able to use a hand-held wheat grinder to grind wheat into flour, shell an ear of corn with an old fashioned corn sheller and use fabric to turn their corn husk into a corn cob doll (just like Laura once had). 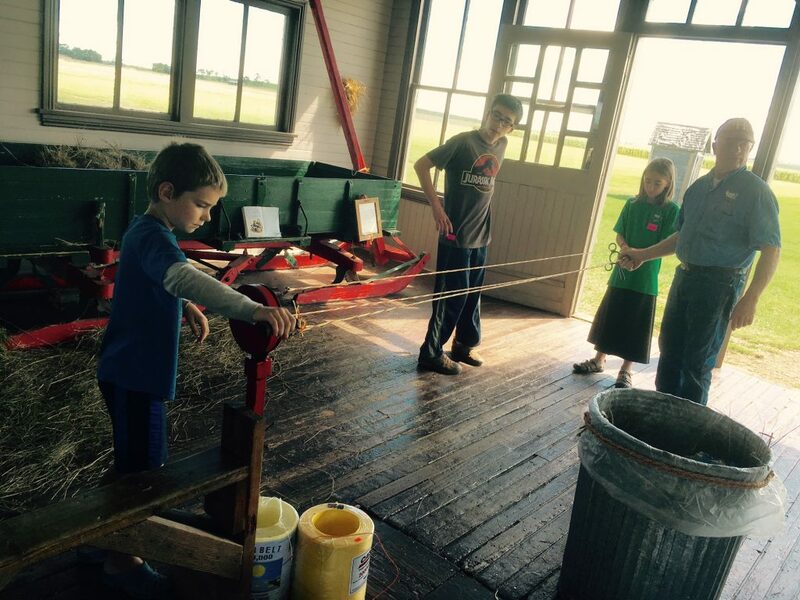 A homemade jumprope made from bailing twine was constructed by each child using a hand crank machine used at the end of the 20th century. Need to go potty? An outhouse with side-by-side seats is available. One of my children decided to make use of this opportunity and said the door was almost fully closed when latched. No sooner had he sat down, when visitors came by to see the authentic little john. “Occupied!” he hollered hoping no one would be able to see through the crack in the door. 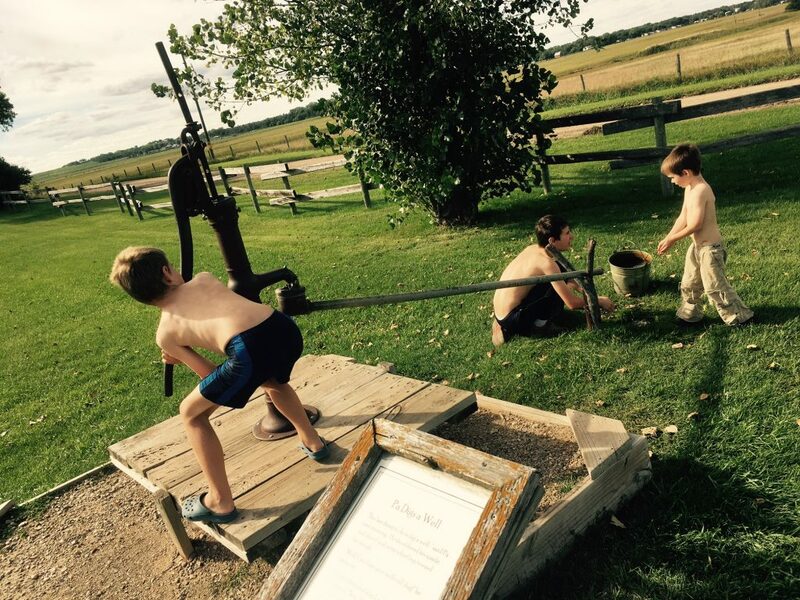 Nearby a washboard, rinse station, and wringer awaited my children’s curiosity and soon they were practicing washing hand towels and hanging them to dry on the line. 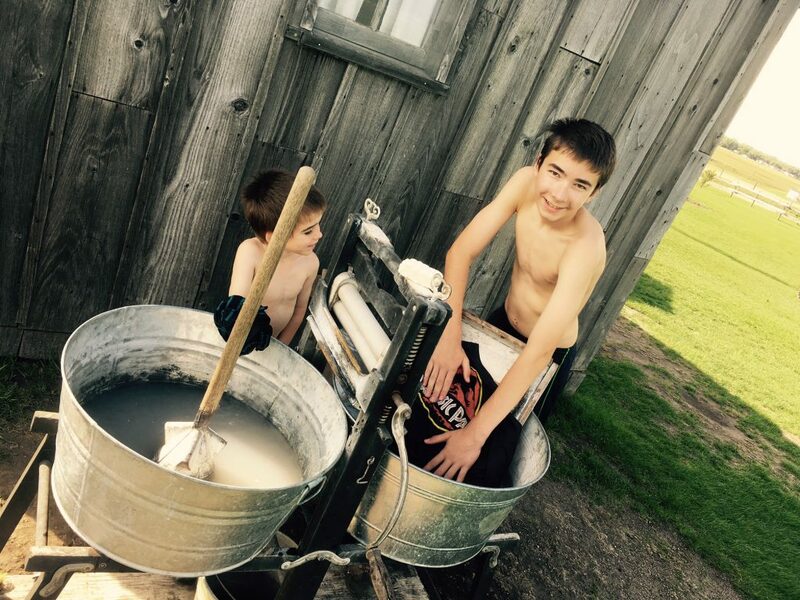 After they had perfected their technique, Hunter asked if he could wash is own shirt. “Why not?” I responded. Soon, all three boys were grinning, shirtless and elbow-deep in wash water. Once their clothing was flapping in the breeze on the clothes line they discovered the water pump. This provided more timeless entertainment and gayety. We had intended to leave by mid-afternoon however, around wash time we realized that the fun had only just begun and decided to cancel our travel plans for the day and just be. It was at that moment that the day became my favorite. A perfect combination of adventure, new experiences, learning, curiosity and fun minus a rushed schedule. This was when I first tasted the freedom of this new lifestyle. Granted, we always have the power to take control of our day but how often do we let our day control us? 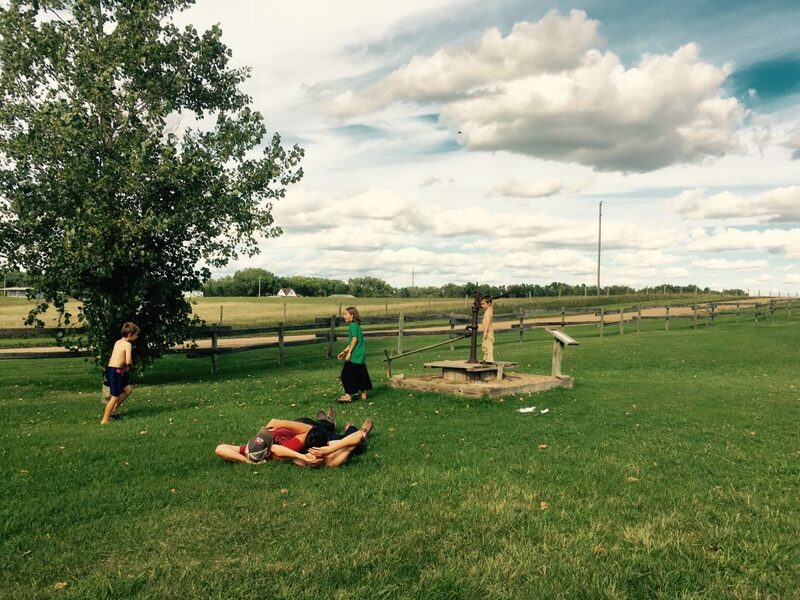 On September 10th we controlled our schedule and I’ll remember the image of my kids pumping water while Trent and Hunter laid on the grass looking at the clouds for a long time to come. *Affiliate links were used for the Little House books on Amazon. Any Little House on the Prairie fans out there? I’m waving my hand! We haven’t read all the books yet. In fact, the only book we have read so far is Farmer Boy. 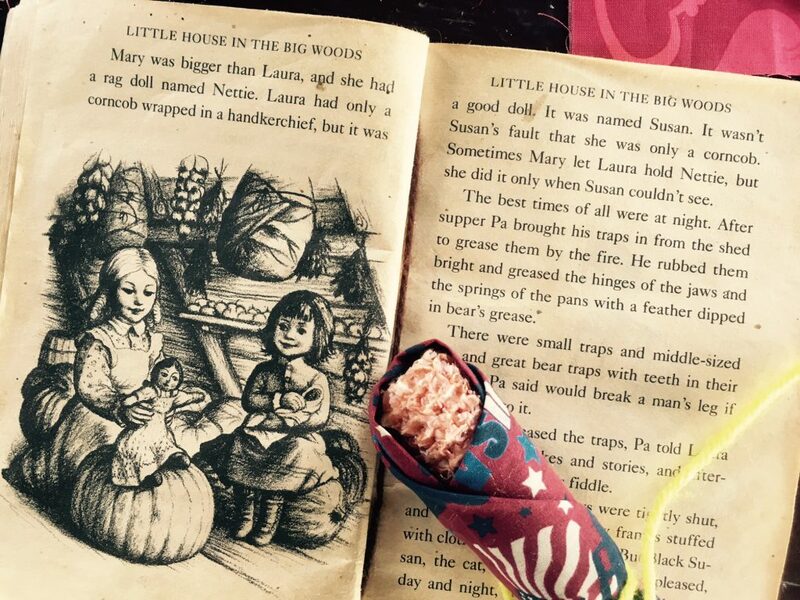 Does it count that we own all of the Little House books? Does it count that we have been working our way through the TV series DVDs? Yes? Thank you, I agree. 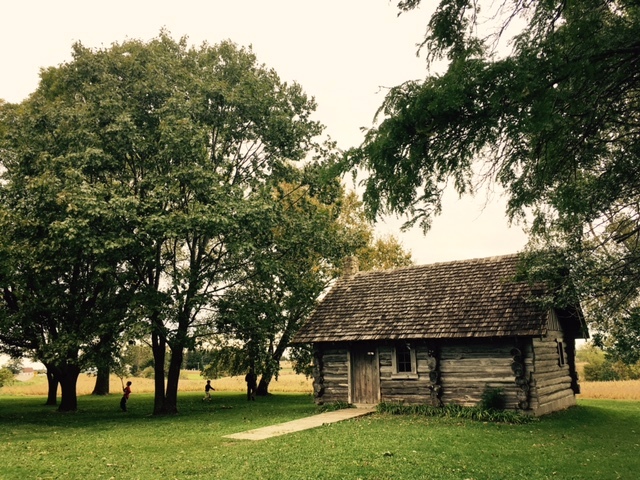 If you are familiar with Laura Ingalls Wilder, then the town Walnut Grove will perk your ears. 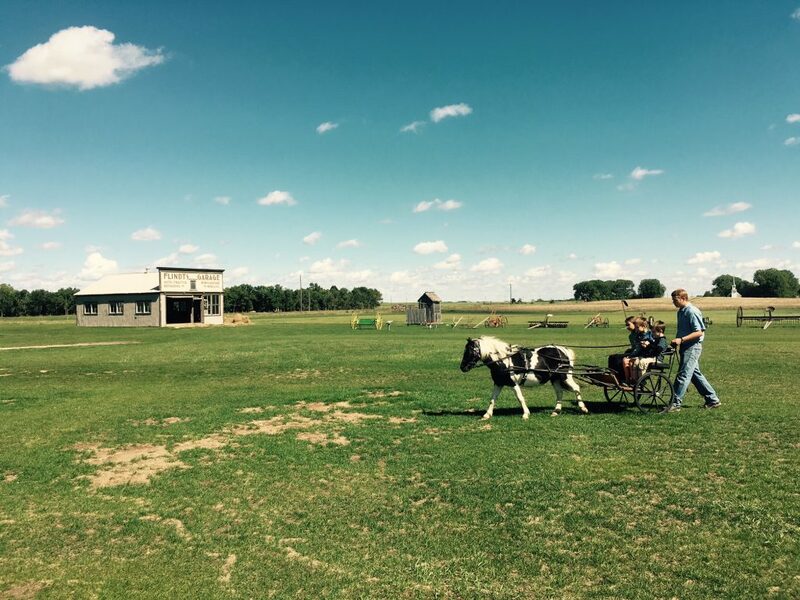 Guess who recently visited Walnut Grove, Minnesota? I’m waving my hand again! 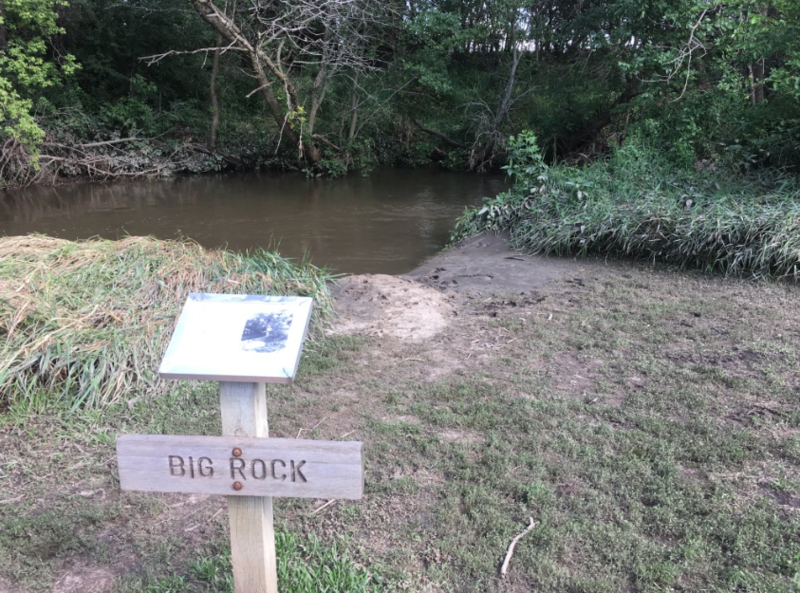 We walked on the banks of Plum Creek and stood where the Ingalls’ dugout home once stood.